Red Rocks is located in Red Rock Canyon National Recreation Area, just minutes outside of Las Vegas, NV. 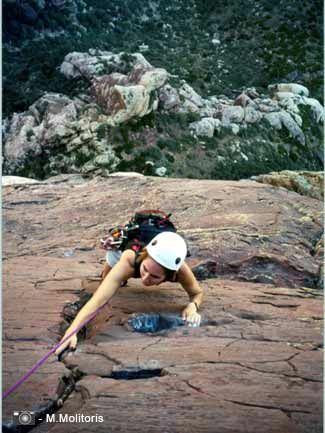 Red Rocks offers over a thousand single and multi-pitch for climbers of all abilities. Climbing ranges from sport-climbing to long, traditional-climbing on routes involving cracks, flakes, and varnished edges. The routes range from easily approached climbs at single-pitched crags, to multi-pitch routes with lengths up to Grade IV (those requiring all day or possibly an overnight for a slower party), and provide you with many different types of adventure. We operate in Red Rocks through a special permit that allows us 2, five-day visits each year. 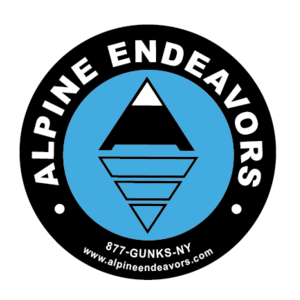 We normally offer one trip in the spring - usually in April, and the other trip we offer in the fall - usually in November or December; allowing you to extend your climbing season when many other areas get too cold.